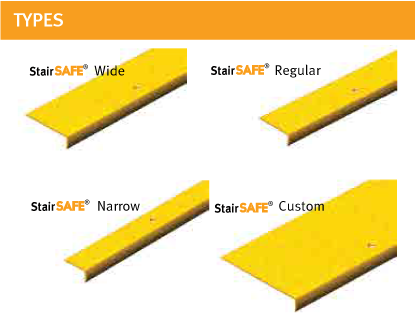 Featuring robust fibreglass FRP construction, StairSAFE® stair nosing is designed to withstand the most severe environments. Our grid surfaces are impregnated into the substrate, ensuring that the possibility of delamination is reduced drastically. 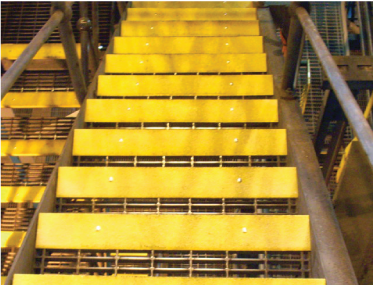 This also allows StairSAFE® to show remarkable chemical resistance, making it ideal for corrosive conditions. Incorporated heavy duty grit surfaces provide a guarantee against any delamination which is a common issue with insecure metal backed alternatives. Further, fire retardant additives are infused to ensure excellent fire and heat resistance, conforming to ASTM E84. 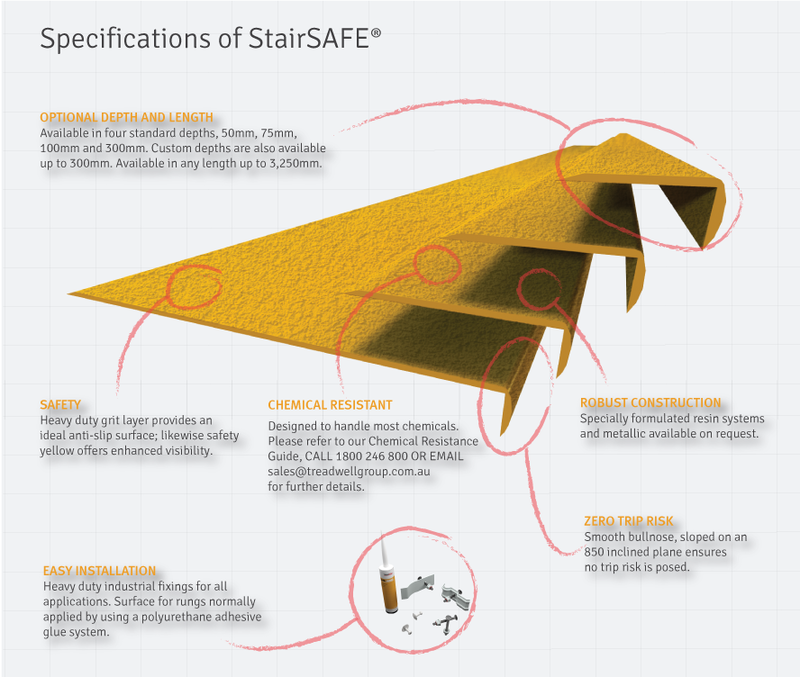 With a product that lasts up to five* times as long as metallic alternatives, StairSAFE® FRP stair nosing not saves in terms of initial product cost, but also in reduced installation and maintenance time and cost.